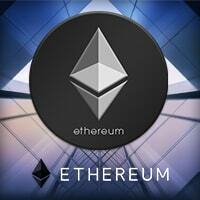 Ethereum (Ether) is a new cryptocurrency that was initially released in July 2015. Those who know and use Bitcoin will not find anything special with this altcoin since it functions similarly as the first-ever cryptocurreny—it is mined, traded, and used for payments. But Vitalik Buterin, the programmer behind Ethereum, also pegged it as the next-generation decentralized application platform other than being a mere cryptocurrency. This is where Ethereum stands out: its ability to run smart contracts on a public blockchain makes it the cryptocurrency that is more fit for certain sectors in the industry, specifically in the field of businesses. With the unique functionality on board, Ethereum quickly gained momentum on the market and trailed behind Bitcoin in terms of market value. Its price soared vis-à-vis Bitcoin and set new records other cryptocurrencies failed to achieve. Its impressive performance, paired with its smart contracts, enables it to effectively collaborate with Bitcoin, even more so improve how Bitcoin is operated and utilized. The rise in popularity of Ethereum was enough to get the attention and the nods of other entrepreneurs, investors, and developers, among others. This is also the reason this cryptocurrency has slowly become one of the latest craze in cryptocurrency gambling. Gambling with Etheruem should not be foreign to resident Bitcoin bettors since it functions the same. Besides, Ethereum’s smart contracts are of no use—at least directly—so players and operators can treat ether much like how Bitcoin is at present. Although not yet in full blast, the drive for a more widespread and popular Ethereum (Ether) gambling sector is not far from happening. The gradual increase in number of the betting sites that have added Ethereum as a payment option is remarkable, and this only provides the players with another means to maximize the transparent, fast, and anonymous way to gamble online. Ethereum (Ether) gambling, however, is light years away from where Bitcoin gambling is in at present. The large scope of Bitcoin gambling is too massive when compared to that of Ethereum (Ether) gambling, but this does not put the use of this cryptocurrency to shame. With its popularity and promising technology, Ethereum can be expected to introduce more improvements and innovations that will perhaps be beneficial to the Ethereum (Ether) gambling. Nothing can stop the rise of Ethereum (Ether) in online gambling, and this is evident with the brands that have started to accept or that launched with the cryptocurrency. Right now, bettors can use ether for online sports betting, dice games, lottery draws, and even online slots. DirectBet is a perfect online sportsbook that accepts ether bets while Crypto-Games is an excellent choice for players who bet on the provably fair dice games and slots. When betting, an Ethereum wallet is essential to transfer the funds to the website. Depending on the set-up of the online gambling site, you can either receive the payouts straight to the wallet or have the option to cash out the funds.